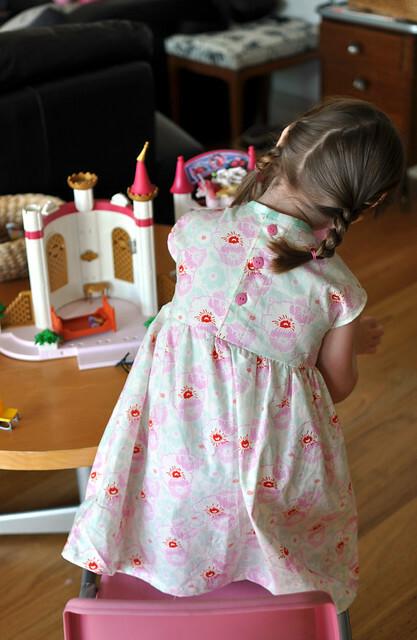 so elsie marley's kids clothing week challenge (sew clothes for your kids one hour a day for seven days) is now in full swing and unfortunately, i am not. i don't know how i managed to convince myself that the week after a major market would be full of spare time. in actual fact i have about a bazillion things to do and a ton of fabric to print and in reality my kids don't really need many clothes right now. mostly because when i signed up for kcwc, i was all pumped and ended up sewing a bunch of stuff for them in the following weeks. so this week i'll be showing what i accomplished for them last month instead. sort of cheating but sort of relevant? 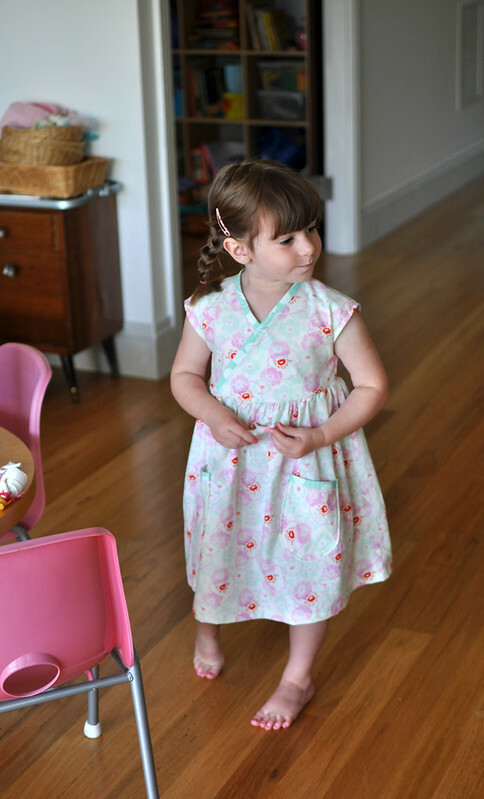 here's a dress i made for mae from this japanese sewing book. actually really hard to get a decent photo, it looks great in real life but doesn't perfectly translate to image somehow. it was a fun and easy sew and when i do get a bit of time for more clothing sewing, i think i'll tackle it again, maybe in wool for winter layering? Only sort of a cheat. That dress is lovely and would be brilliant in wool! Nah, I don't think the KCWCers would mind! This dress is beautiful. I love buttons down the back. And I love plaits!! Nice dress,very comfort and nice color,it's a better choice for baby girl but in my opinion parents should be choosy and buy comfortable,sophisticated cloths.